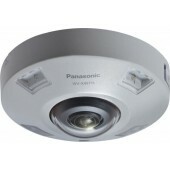 360-degree cameras are ideal retail, banking, casinos and commercial/industrial environments. One well-selected, strategically located 360 camera can give you a complete overview of a location, reducing your camera count and saving you money. 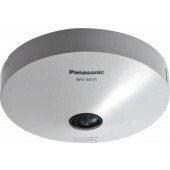 9 Megapixel fisheye images up to 30 fps. iA (intelligent Auto). Super Dynamic 108dB. H.265 Smart Coding. ABF (Auto Back Focus). IP66, IK10, 50J compliant, Dehumidification device. 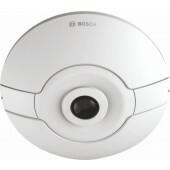 9 Megapixel fisheye images up to 30 fps. iA (intelligent Auto). Super Dynamic 108dB. H.265 Smart Coding. FIPS 140-2 Level 1 compliant. 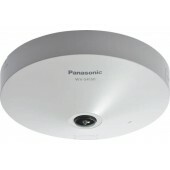 9 Megapixel fisheye images up to 30 fps. iA (intelligent Auto). Super Dynamic 108dB. H.265 Smart Coding. ABF (Auto Back Focus). IP66, IK10, 50J compliant, Dehumidification device. M12 connector. 5 Megapixel images up to 30 fps. iA (intelligent Auto). Super Dynamic 108dB. H.265 Smart Coding. IP66, IK10, 50J compliant, Dehumidification device. 5 Megapixel images up to 30 fps. iA (intelligent Auto). Super Dynamic 108dB. H.265 Smart Coding. IP66, IK10, 50J compliant, Dehumidification device. M12 connector. 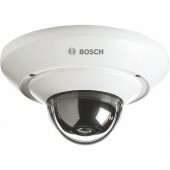 360 degree Vandal Resistant Network Camera featuring Super Dynamic. 360° monitoring with a wide variety of transmission modes: Wall Panorama, Double Panorama, Quad PTZ, Single PTZ, and Quad streams (H.264/VGA). 1080p Full HD images up to 30 fps. 360 degree Super Dynamic Vandal Resistant Dome Network Camera Mobile. 360° monitoring with a wide variety of transmission modes: Wall Panorama, Double Panorama, Quad PTZ, Single PTZ, and Quad streams (H.264/VGA). 1080p Full HD images up to 30 fps. 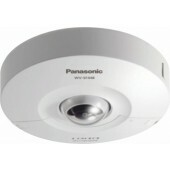 360 degree Super Dynamic Dome Network Camera. 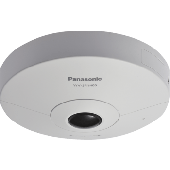 360° monitoring with a wide variety of transmission modes: Wall Panorama, Double Panorama, Quad PTZ, Single PTZ, and Quad streams (H.264/VGA). 1080p Full HD images up to 30 fps. 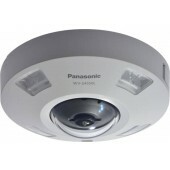 FLEXIDOME IP panoramic 5000 MP Compact outdoor IP panoramic camera for all-round MP surveillance. 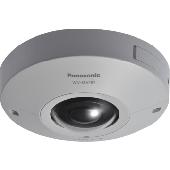 5MP sensor; PoE/12 VDC; IDNR; H.264 multiple streams; cloud services; client-side dewarping, 360° lens; IK10; IP66 outdoor surface mount box included. 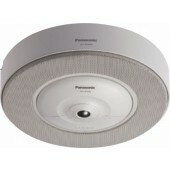 FLEXIDOME IP panoramic 5000 MP Compact indoor IP panoramic camera for all-round MP surveillance. 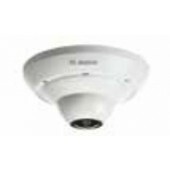 5MP sensor; PoE/12 VDC; IDNR; H.264 multiple streams; cloud services; client-side dewarping, 360° lens; indoor surface mount box included.